This page lists all collections of decisions on the wiki. Country formation decisions are kept on the pages of each formable country. All formable countries are listed below. All of these formation decisions require that the game is using the historical setup. The following nations can only be formed by former colonial nations who have achieved independence. Unlike other formable nations, these can be formed in games using the random setup. A country can only form one of these nations during a scenario. Except for Brazil, Canada, Mexico, Quebec, Texas, and the United States, these nations don't have unique ideas or events, so the formation decisions are mostly cosmetic, although they usually provide prestige and permanent claims on their respective regions. Our project to construct the Kiel canal has been deemed too costly and will be canceled. Our project to construct the Suez canal has been deemed too costly and will be canceled. Our project to construct the Panama canal has been deemed too costly and will be canceled. Officially demote the Pope and instead raise the king to be the final legal authority in all matters of religion. does not have the modifier “The Statute in Restraint of Appeals”. is not the Papal State. has a ruler with an administrative skill of at least 2.
has a ruler with a military skill of at least 2. The Papal State has an opinion of less than −50 towards the country. Catholicism gains 1% reform desire. worth −60 with a yearly decay of +1. worth −100 with a yearly decay of +1. Revoke the law that was previously passed giving the king final, legal authority in all matters of religion and restore those rights to the Pope. has the modifier “The Statute in Restraint of Appeals”. does not have the modifier “Revocation of Restraint of Appeals”. has a ruler with a diplomatic skill of at least 4.
has a theologian as advisor. has an opinion of at least +100 towards the Papal State. loses the modifier “The Statute in Restraint of Appeals”. worth +50 with a yearly decay of −1. Pass an act to prohibit slavery and outlaw slave trade throughout the nation. has at least 1 province producing slaves. has an administrative technology of at least 15. It is the ‘Age of Revolutions’. has a ruler with a diplomatic skill of at least 3.
has less than 2% overextension. Every province owned by [Root.GetName] will stop producing Slaves. changes its trade good to unknown. loses the modifier “Slave Entrepot” if the province has it. AI will only take this decision if the country has completed innovative ideas. It is time to move the control and responsibility for taxes and government budgets from the Old World into the colonies. Members will be elected annually and all propertied citizens will be eligible. has the ‘colonial government’ government type. has not previously enacted this decision. It is the ‘Age of Absolutism’ or the ‘Age of Revolutions’. has at least 100 administrative power. has a liberty desire of at least 25%. gets the event ‘Colonial Assembly’ in 3 days. We need a strong ruler to guide us in these troubled times. Let us centralize our power over the Boyars and create a government in the spirit of the old Kievan Rus'. Our principality has grown to be one of the most powerful states of the planet. Clearly we are worthy of claiming the title of Tsar over all others? As a Prince-Elector of the Holy Roman Empire we have a much greater political power than the title Bishop would normally imply. Let us make use of this influence to convince the Holy See to elevate our Bishopric to an Archbishopric. By enacting a limited constitutional reform -- defining and delimiting the offices and branches of government, and their internal relations -- we can increase our administrative efficiency, as well as public approval of our, still obviously divinely ordained, rule. The old gods and their false idols are falling all across the civilized world. The people of $COUNTRY$, so long kept bound by the shackles of ignorance, are waking up to a brave new world! God is dead, and everything is permitted. Currently, our government administrates land by means of grants, through the Iqta system. Changing this would allow us to adopt a more centralized administration. The aristocracy of our country has achieved a position of complete political and economic dominance. With demands from leading aristocratic families for ever increasing privileges, we are now in a position to reform our government into an Oligarchic Republic. In countries economically dependent on trade, the likelihood of merchants demanding political recognition and power increases. With our country's capital located in a lucrative Trade Node, and with an established merchant class in place, we can form a trade league to better further our nation's economic interests. Kingship and governance can be many things and the traditions we rely on lie outside the mainstream of the Islamic world. By adopting the Iqta system we can assert our authority over the lands of the realm directly, with revenue rights given only to trusted Amirs. [Root.Monarch.GetTitle] is a fine title but it is time we stood on our own legs and used the influence we have in this state to build something stronger. However pious our state may be we should seize these lands for our our own descendants rather than risk the appointment of an incompetent successor. With the ties to Rome cut we no longer have a place in a bigger Christian hierarchy. Perhaps the faithful would be just as well served by a Monarch as they are by a [Root.Monarch.GetTitle]? It is time we leave the rule of our state to those who truely know the will of the divine! The Clergy of our state has managed to reach a position of such political dominance that they are now demanding to have the political power formally surrendered to them. Our interest in an East India Company is based chiefly on hopes and ambitions aroused by the enormous revenues produced by the initial ventures of other companies. At the same time, there is also a desire upon the part of $MONARCH$ to play a dominant role in contemporary world trade, a desire that isn't necessarily wholeheartedly endorsed by our country's local merchants. has at least 2 home ports. does not have the modifier “Ostende Company”. does not have its capital in Asia or Oceania. has discovered a province of Japan, Burma, Western India, Coromandel, Deccan, Bengal, South China or North China. must have embraced ‘Global Trade’. must own at least 1 coastal province of India, China, East Indies or Japan. owns at least 1 coastal province of India, China, the East Indies or Japan. If this country is England or Great Britain, then it gets the event ‘The East India Company’. We have been too generous towards foreign traders who have been allowed far reaching rights to govern the lands around their trade factories. We must seize those lands back to the state and expel the foreign traders. owns a province with the modifier “Trade Company Factory”. has a stability of at least 2.
owns a province on the continent with the capital of the country, but not vice versa. a ‘Trade War’ casus belli against the country for 5 years. the opinion modifier “Expelled Traders” towards the country, worth −75 with a yearly decay of 3. The colonial and religious influence of foreigners might be seen as a threat to our country. Enforcing a law to prohibit foreigners entering and Japanese leaving the country will effectively isolate the nation. has the modifier “Western Trade”. has a stability of at least +2. has a legitimacy of at least 75.
has at least 200 administrative power. has at least 200 military power. has at least 200 diplomatic power. loses the modifier “Western Trade”. The AI will only take this decision if it has at least 1 Catholic province with no active missionary. Barbarians have let the Great Shrine of Ise decay for lack of proper maintenance. We must restore this holy location to its proper status as the holiest site of our religion. does not have the modifier “Jingu”. has at least 300 .
then Owari (1030) becomes Shinto. Our nobility have come to us with an interesting proposal. If we were to grant them the Liberum Veto they would in return give us substantial support during the current war. Although their offer is very generous indeed, some of our advisors are suggesting that this could just be the thin edge of the wedge. In fact although they will get angry if we refuse them, they will most definitely prey on any future weakness we show to demand further concessions. is in the Eastern technology group. has a war exhaustion of at least 8.
has at least 6 cities. has enabled at least 1 aristocratic idea. gains 10 infantry and 5 cavalry units in a random owned and controlled province. There are many upsides to the state supplying standardized uniforms but it is perhaps cheaper and more efficient to have regimental commanders pay and commission them instead. We could go back to the way things were even if our army professionalism would suffer somewhat. Remove country modifier "Standardized Uniforms"
We are paying far too much for new technology and new methods. We should strive to lift the entire army and not just a few pioneers. Remove country modifier "Elite Regiments"
Commission privateers to disrupt foreign trade by allowing them to pass beyond our country borders in search of enemy vessels or ships belonging to other nations considered untrustworthy. To the extent that uniforms are in use in our armies regiment commanders are often expected to provide and pay for them. This leads to a great variety in colors and styles on the battlefield and makes identifying friend from foe confusing. Let us create a standard uniform for all troops on our payrolls that we then attempt to provide for our troops. While the technology is still in its infancy, firearms can be a deadly force on any battlefield. In order to be efficient, however, firearms require regular training and a steady supply of ammunition. For a regular levy army this level of proficiency can be hard to maintain. A soldier that has to go home to tend his fields is not one that will regularly exercise with his weapon. While we cannot change our entire army structure in one stroke we can ensure that a core of highly trained salaried troops specialize in these weapons. The Unification of Islam is a political unity of the entire community of Muslim faithful, ruled by a single ruler. The head of state and other officials are the voices of the people and of Islam and must govern according to the Sharia law. The ‘Star and Crescent’ DLC is enabled. has at least 10 cities. does not have the modifier “A United Islam”. Thatta (504), Córdoba (225), Constantinople (151), Baghdad (410), Mecca (385), Medina (384), Messina (124), Palermo (125), Dagestan (425), Damascus (382), Samarkand (454), Ifni (347), Aden (388) and Muscat (400). The difference between the Sunni and the Shiite is that the Sunni believes that the first four caliphs - Mohammed's successors - rightfully took his place as the leaders of Muslims. Meanwhile, the Shiites believe that only the heirs of the fourth caliph, Ali, are the legitimate successors of Mohammed. has Sunni as dominant religion. The capital of this country is Sunni. changes its religion to Sunni. The Shiites believe that only the heirs of the fourth caliph, Ali, are the legitimate successors of Mohammed while the Sunni believes that the first four caliphs - Mohammed's successors - rightfully took his place as the leaders of Muslims. has Shia as dominant religion. The capital of this country is Shia. changes its religion to Shia. Time for a [Root.Religion.GetName] [Root.Monarch.GetTitle]?. Make it a legal offense for servants and the like to read our holy bible, reserve that right for clerics and noblemen. does not have the modifier “Advancement of True Religion Act”. has hired a theologian as advisor. Declare blasphemy a common law and thereby make it a legal offence to show contempt for or ridicule God, Jesus or the Holy Scriptures in any form or way. does not have the modifier “Blasphemy Act”. It is not the Age of Discovery. has a ruler with an administrative skill of at least 3. Suspend all penal laws for members of other religions than the established church and grant them the freedom of public worship and rights of advancements to military and civil offices. does not have the modifier “Declaration of Indulgence”. does not have the modifier “Test Act”. Take further steps towards a unified church by enforcing church attendance and set the order of services and prayers to be used in the Book of Common Prayer. does not have the modifier “Act of Uniformity”. has an administrative technology of at least level 8. Provide education in religious and moral matters for children of the poor by establishing Sunday schools. has an administrative technology of at least level 17.
does not have the modifier “Sunday Schools”. Discourage nonconformists by forbidding any form of religious assembly of more than five people other than those approved to by the established church. does not have the modifier “Conventicle Act”. Either Protestant or Reformed is enabled. Catholicism loses 2% reform desire. Make it an illegal offense, punishable by burning at the stake to either own or produce a translation of the holy bible. does not have the modifier “De Heretico Comburendo Act”. Reform desire is at least 10%. has an administrative technology of at least 6. Catholicism gains 0.1% reform desire. Exclude all non-members of the established church from holding any military or civil office, reserve that privilege for members that have received communion according to the proper rites of our national church. Increase the monarch's control and power by authorizing any ecclesiastical property with an annual income below a certain value to be confiscated. does not have the modifier “Dissolution of the Monasteries”. is Catholic and has the modifier “The Statute in Restraint of Appeals”. has a ruler with an administrative skill of at least 4. Take measures to reduce Catholic influence by offering money to anyone willing to witness against a Catholic priest or bishop that has been apprehended performing religious services. has an administrative technology of at least 11.
does not have the modifier “Popery Act”. has a ruler with a military skill of at least 3. We must not abide the heretics in our realm. A harsh set of laws designed to target any followers of the traditions of false Imams and priests will allow us to marginalize any heretical influence within our society. does not have the modifier “Enforce Religious Unity”. has a ruler with administrative skill of at least 3. Bestow the title of Khalifa upon the Sultan to demonstrate his importance not only as our political leader but also as our spiritual leader. does not have the modifier “Khalifa”. has a male ruler with a military skill of at least 3. Condemn any form of sect practice and declare all practitioners heretics. does not have the modifier “Denouncement of Sect Practices”. Direct all your efforts towards creating an Islamic center of scholarship and worship by promoting academic studies of Islam and supporting the establishment of local libraries. has an administrative technology of at least 8.
does not have the modifier “Islamic center of Scholarly Learning”. has a ruler with a diplomatic skill of at least 5. A new strand of the Hanbali school is gaining popularity among some of our tribesmen. While the Hanbali school has not been our prefered Maddhab many influential scholars are now arguing that we should join this movement. The ‘Cradle of Civilization’ DLC is enabled. does not follow the Hanbali school. adopts the Hanbali religious school. Islam has increasingly grown to be the dominant religion both in government, among our subjects and our nobility. It is time we join the community of the faithful. The country is not Muslim. is in a trade company region. has a legitimacy of at least 90. The country's dominant religion is Sunni, Shia, or Ibadi. changes its state religion to that of the capital. loses the modifier "Islamic Syncretism", if it had it. Encourage theological debate by establishing a 'House of Worship' for philosophers, leaders and others knowledgeable in the matters of religion to discuss religious issues in regards to all religions known to us. does not have the modifier “Ibadat Khana”. has completed the innovative idea group. A new faith is spreading in our lands. The Sikh follow the teachings of Guru Nanak and their message is increasingly gaining traction among many of our subjects. Should we adopt this faith for ourselves we would have the support of the Sikh movement for generations. has a stabilit of at least 1. AI will not take this decision unless it is Punjab. Improve literacy and numeracy skills by promoting a nationwide monastic education system. is Theravada, Vajrayana or Mahayana. does not have the modifier “Monastic Education”. has a ruler with an administrative skill of aat least 3. While the spiritual richness of the leading monasteries of our country is a constant asset for our ruler these monasteries also have a tendency to lapse into corruption and lacking discipline. We must curb the excesses of the monks and create set of strict laws with harsh punishments for those who falter, be they individual monks or entire orders. has an administrative technology of at least level 15.
does not have the modifier “Regulated Monastic Law”. We should invite a powerful Lama to settle in our capital. By patronizing this man and his future reincarnations we may create a lasting legacy for our dynasty. The ‘Common Sense’ DLC is enabled. does not have the modifier “Lama”. can make this decision only once for every ruler. has a prestige of at least 25.
gets the event ‘Messenger Returns from Tibet’ in 60 days. Prevent any possible undermining of authority that Christianity may cause by issuing an edict to expel all Christian missionaries and demand that all converts renounce their new faith. has a religion of the Eastern religious group. does not have the modifier “Anti-Christian Edict”. has an opinion of less than 0 towards the country. is a neighbor or owns Sakam (738), Kingchow (666) or Macau (668). is not the Defender of the Faith. A Christian neighbor of this country or the Christian country that owns Sakam (738), Kingchow (666) or Macau (668) has an opinion of less than 0 towards this country. Our faith is the honored way of our ancestors. We cannot allow foreign faiths to encroach on our traditions. does not have the modifier “Enforcing our Heritage”. If the ‘Mandate of Heaven’ is enabled then the country can not be Confucian. borders a country that does not follow a religion of the Eastern group. Reduce social unrest caused by religious disagreements between our subjects by introducing a new religious doctrine that will attempt to merge the principal thoughts of Islam with Hinduism. The ‘Dharma’ DLC is not enabled. does not have the modifier “Divine Faith”. is either Hindu and owns a Muslim province or is Muslim Mughals and owns a Hindu province. Protect our national religion from any Islamic influences by preventing missionaries from crossing our country borders. has a neighbour country that is Muslim. does not own a Sunni province. does not have the modifier “Anti-Muslim edict”. Aim towards establishing a tolerant society where the citizens are allowed to practice the religion of their choice and sects and the like are allowed to follow any practices they see fit. does not have the modifier “Religious Sect Tolerance”. −2% missionary strength vs heretics. Support the spiritual Haridasa movement in its efforts to promote Madhvacharya's philosophical school of dualism as opposed to Adi Shankara's non-dualistic ideals. does not have the modifier “Haridasa Movement Support”. does not have the modifier “Advaita Movement Support”. Support the spiritual Advaita movement in its efforts to promote the non-dualistic ideals of Adi Shankara as opposed to Madhvacharya's philosophical school of dualism. Our faith was born seeking unity where there was discord and the belief that God was above the religious divides of the world. However, if we are to put out the fires of sin in this world, we need people to embrace the truth. does not have the modifier “Saving the Burning World”. The religion of Tibet is a powerful tool and Buddhism was once championed by great empires. Let us convert our country to this powerful new religion and learn the value of peace and discipline. owns a province that is Vajrayana. If the country has a secondary religion then it must be Vajrayana. Make divination a fundamental basis of our society, whether it is used to drive away ill spirits or ascertain information from the gods regarding sacrifices and illnesses. does not have the modifier “Divination”. Turn religious sacrifices of animals and bloodletting into a common practice in our society to please the gods. is Pagan but not Nahuatl, Inti or Mayan. does not have the modifier “Religious Sacrifices”. Introduce the practice of initiation rites for adolescences to find spiritual direction and make the passage from childhood to adulthood. does not have the modifier “Rite of Passage”. The Christian communities in our country are propagating the state to adopt their religion. This way they claim that we will be able to bring the Christian countries closer to our point of view. is Pagan but not Tengri. owns a province that is Christian. [Root.GetName] will adopt the Christian faith as practiced by their subjects as the new state religion. The country gets the event ‘[Root.GetName] Converts to Christianity’. The Muslim communities in our country are propagating for the state to adopt their religion. This way they claim that we will be able to bring other Muslim countries closer to our point of view. owns a province that is Muslim. [Root.GetName] will adopt the Muslim faith as practiced by their subjects as the new state religion. The country gets the event ‘[Root.GetName] Converts to Islam’. The Buddhist communities in our country are propagating the state to adopt their religion. This way they claim that we will be able to bring other Buddhist countries closer to our point of view. owns a province that follows a religion of the Eastern religious group. [Root.GetName] will adopt an Eastern faith as practiced by their subjects as the new state religion. The country gets the event ‘[Root.GetName] Converts to Buddhism’. The Indic communities in our country are propagating for the state to adopt their religion. This way they claim that we will be able to bring other Hindu or Sikh countries closer to our point of view. owns a province that is Dharmic. [Root.GetName] will adopt a Dharmic faith practiced by their subjects as the new state religion. The country gets the event ‘Conversion of [Root.GetName]’. The Zoroastrian communities in our country are propagating for the state to adopt their religion. owns a province that is Zoroastrian. 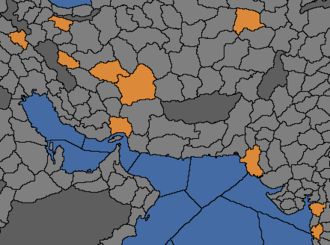 [Root.GetName] will adopt the Zoroastrian faith practiced by their subjects as the new state religion. The country gets the event ‘[Root.GetName] Converts to Zoroastrianism’. The Jewish communities in our country are propagating the state to adopt their religion. [Root.GetName] will adopt the Jewish faith practiced by their subjects as the new state religion. The country gets the event ‘[Root.GetName] Converts to Judaism’. The belief that there is just one divine being in the world is a horrible myth that seems widespread wherever we go. We must endeavor to educate our poor subjects in the true nature of things, of how the world functions and of the many spirits that inhabit it. owns a province that is not Animist. does not have the modifier “Ritual Education”. We have come to control areas far beyond the limits of our faith and as a result a great number of heathens look to us for guidance. Let us send forth our Shamans to spread our faith and to teach those among our new subjects who are able to become Shamans themselves. owns a province that is not Fetishist. does not have the modifier “Wandering Shamans”. It is high time we take a stand for the faith of our ancestors. Let us do away with all syncretism and outside traditions and promote a purer version of our religion. does not have the modifier “Purification Movement”. owns a province that is not Totemist. does not have the modifier “Spreading of Rituals”. Since the days of the Great Khans many of our subjects are followers of Vajrayana Buddhism and while we lament that they have strayed from the pure faith of our nation it would be unwise to turn them away. Let us instead accentuate the syncretic elements of our faith and borrow from the Vajrayana rituals and include these Buddhists in our community. does not have the modifier “Yellow Shamanism”. does not have the modifier “Black Shamanism”. Buddhism is spreading among the practitioners of our ancestral faith at an alarming rate. While this faith was accepted by some of our ancestors it is now dangerously pushing back the true Tengriist faith and polluting the practices of our subjects with Buddhist tendencies. We must actively reject such notions and instead work to spread the true and pure practices of our ancestors among our people. does not have a secondary religion. Over time the influence of the Khoja and his descendants has grown dangerously strong in our country. Now that they do not have the ear of our ruler we can forcibly expel them from our lands, avoiding future conflicts. owns at least 2 cities. had the event ‘Popular Sufi Teacher’ and chosen the option “Let him serve the throne!” and afther this the country did not change its secondary religion. has not enacted this decision nor chosen the option “No, he is too dangerous” of the event ‘Popular Sufi Teacher’ nor the event ‘The Khoja takes power’. has a legitimacy or horde unity of at least 75.
does not have the modifier “Support of the Khoja”. The Khoja and his descendants will not bother us again. Sunni zealots rise up in revolt and occupy a random province of this country that is not the capital. If this country had chosen the option “He remains our strongest supporter.” of the event ‘The Khojas’ less then (additionally) 4 times more than the option “Attempt to limit the influence of the Khojas.” then the rebels have size 1, else if the first option was chosen 4 or 5 times more then the rebels have size 2, else if the first option was chosen at least 6 additionally times then the rebels have size 3. In order to properly spread the traditions and rituals of our people to foreign lands we should create a written account of all religious rules, rituals and laws along with the history of creation. This will allow us to educate even the most ignorant in the proper ways to please the gods. owns a province that is not Mayan. does not have the modifier “Codified Religious Traditions”. else the country must have embraced the renaissance. In order to properly teach all those who live in our conquered areas of the proper way to please the gods we must make it a routine to construct great temples with sacrificial stones in each and every provincial capital under our control. Here our subjects will partake in our sacred rituals and be made to see the grace of our gods. owns a province that is not Nahuatl. does not have the modifier “Nahuatl Proselytism”. Apart from forcing them to place any deities or icons in our custody we should appoint deputies for our Sapa Inca to visit each and every part of our empire to perform the holy festivals of our religion. Attendence shall be mandatory, especially for those who cling to their heathen faiths. owns a province that is not Inti. does not have the modifier “Inti Proselytism”. Let us restrict all important offices in the administration of our central, local and military government to members of the true faith while also providing free education in the laws of the Talmud and the Shulkhan Arukh for all lower officials. This way we can encourage that there is both a will and a preparedness to convert. does not have the modifier “Encouraging Conversion”. Unlike some religions ours do not attempt to force itself upon unknowing children. A Zoroastrian initiation must be done by someone old enough to understand what it entails. Still much could be done to encourage those who do not see the value of our faith. does not have the modifier “Rites of Admission”. Of all the fire temples of our faith the legend of the three fires lit by Zoroaster himself are the most prestigious. They have, however, long been lost as our faith declined over the centuries and the locations of the old fires are now unknown. While a fire cannot be recreated we can attempt to find the site of these temples and start new fires to symbolize the rise of our Zoroastrian Empire. does not have the modifier “Royal Fires”. Mashhad (2221), Maragheh (2207), Sabzevar (2235), Bojnord (2236), Shiraz (2218), Khiva (441) and Larestan (2223). During the harsh years of oppression in Persia many left their ancestral homes to resettle abroad. The Qissa-i Sanjan tells us of those who took a long and arduous journey to settle in Gujarat and to lit new fires and start anew. Known for their industry these men and women have thrived in their new homeland. Our efforts to make Zoroastrianism the only majority religion within our borders will allow us to reunite with these foreign brothers and sisters. does not have the modifier “Reunification of the Zoroastrian Diaspora”. 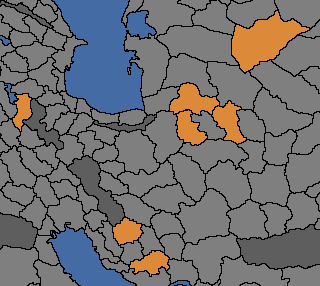 Teheran (428), Isfahan (429), Kerman (432), Yazd (433), Balkh (450), Thatta (504), Surat (517), Thana (529) and Kirmanshah (2210). owns only provinces with Zoroastrian religion. +1 tolerance of the true faith. How can laws and civilization compete with freedom and the promise of treasure? It’s time to hoist the black flag and declare a Pirate Republic! Available only with the Golden Century DLC enabled. is a monarchy or a republic. has not enacted Pirate Republic, Plutocracy, Dutch Republic, Colonial Government, Shogunate, Elective Monarchy, Daimyo, Revolutionary Republic, Revolutionary Empire, American Republic, Trading City, Free City, Federal Republic, Veche Republic or Venetian Government government reform. has less than 7 cities. owns only provinces that are on an island or coastal provinces in Maghreb. has a navy of at least 90% of the naval force limit. has at least 10% of the trade power in its home trade node with privateers. enacts ‘Pirate Republic’ government reform. Every great empire stands in opposition to us. To stand any chance of survival we must rally behind our own Pirate King, and the King's word will be law. has an administrative technology of at least level 12.
has not changed government type for the past 25 years. The pirates that run amok in the Republic cannot be trusted to bathe themselves, let alone to govern a nation whose future hands on the edge of a cutlass. A Consortium formed of the most influential black market merchants shall be established as its true governors. Profit must come before liberty. becomes a ‘Black Market Consortium’. The tyrants of the world must be unseated! We can no longer tolerate kings and despots making slaves of our fellow man. And so we shall adopt a new doctrine: war against the world! has a republican tradition of at least 90. The time has come to end our lives of piracy and settle down to establish a more stable Republic. does not have the modifier “Counter-Reformation”. does not have the idea ‘Ecumenism’ (3rd humanist idea). does not have the idea ‘Liberté, Égalité, Fraternité’ (7th idea of France). The Protestant religion does not exist longer than 150 years. is The Papal State, the Holy Roman Emperor or has an opinion of at least -50 towards the Papal State. does not have the modifier “Edict de Nantes”. +75 opinion with a yearly decay of 1. Since The new Kirishitan religion from Europe has spread so far and wide within our Han, we have considered converting to this new creed. The implications of abandoning the faith of our ancestors are not to be taken lightly. has enacted ‘Daimyo’ government reform. owns a province with Catholic religion. has Catholic religion as the dominant religion. changes its religion to Catholic. By confirming our Thalassocracy, our rule by the sea, we will receive tremendous bonuses to our navy, propelling us into a position of unrivaled dominance over the oceans. does not have the modifier “Thalassocracy”. Genoa, Venice, Tunis, Ragusa, Alexandria, Lübeck, Baltic Sea, English Channel, North Sea, Novgorod, Goa, Gulf of Aden, Indus, Ceylon, Bengal or Malacca. has completed the Maritime idea group. is the strongest trade power in Genoa, Venice, Tunis, Ragusa and Alexandria or in Lübeck, Baltic Sea, English Channel, North Sea and Novgorod or in Goa, Gulf of Aden, Indus, Ceylon, Bengal and Malacca. Minimize Western influences by restricting the number of trading posts that are allowed to be operated by foreign traders and promote stricter rules for foreign trade and missionary work over all. is in the Chinese technology group. has at least 1 home port. does not have the modifier “Condemn Western Influences”. Any known country within the Western technology group is the strongest trade power of a trade node in South or North China and has a merchant there. is in the Western technology group. is the strongest trade power of a trade node in South or North China and has a merchant there. has an opinion of less than -100 towards this country. For too long we have been granting European traders access to our markets. Slavery has brought some regions of our country to it's knees as many young men are shipped across the Atlantic. A trade that it is now clear is no longer in our interest. Let us break these bands and displace those who would profit from our loss! has the modifier “Slaving Economy”. loses the modifier “Slaving Economy”. loses the modifier “Major Slave Market”. loses its current trade good. Local Strongmen in provinces with Slave Trade as their main source of income will attempt to sidestep this edict for 15 years. For many years now our more advanced neighbors have laughed at us for our backward tribal form of government. Well, no longer - as of today our great leader is a King! has the tribal despotism government type. has a legitimacy of at least 60.
has completed the economic, innovative or administrative idea group. Has Reformed Religion or adopted Feudalism. For many years now our more advanced neighbors have laughed at us for our backward tribal form of government. Well, no longer - as of today our great leader is a True King! has at least 8 administrative technology. becomes an iqta (if muslim) or a feudal monarchy (if not muslim). For many years now our more advanced neighbors have laughed at us for our backward tribal form of government. Well, no longer - as of today our great leader is a Prince! has a republican tradition of at least 99. For many years now our more advanced neighbors have laughed at us for our backward form of government. Well, no longer - as of today our great leader is a King! has the steppe nomads government type. has a legitimacy or horde unity of at least 60.
changes its technology group and unit type to Muslim. changes its technology group and unit type to Eastern. changes its technology group and unit type to Chinese. is a Siberian clan council. Our society is changing and the state needs to adapt. Let us walk into the future with an open mind to what customs and traditions we need to keep and which ones we would be better off discarding. The ‘Conquest of Paradise’ DLC is not enabled. The ‘El Dorado’ DLC is not enabled and the country is Nahuatl, Mayan or Inti. The country is not Nahuatl, not Mayan, not Inti and not a native council. has a stability of 1.
is neighboring a country that has embraced feudalism. The country is no longer primitive. This section lists decisions that were converted from old-style missions in Patch 1.25. They are all easter eggs based on puns. It is Aragon's Destiny to become King of Gonder. Now that we have finally figured out where it is we should do something about this. Make Gonder Aragon's as we cannot escape our destiny. Saruhan sounds a lot like a threat to the Lords of the West. If Aragon is ever to fulfill their destiny Saruhan must be defeated. Legends speak of a Japanese artist who fled to a distant land after incurring the wrath of the Emperor. He brought with him his most prized possessions: Picture-books chronicling the history of a 'higher' school where the most legendary Samurai of his age were educated. We believe that this lost cultural treasure lies hidden somewhere in the jungles of Africa, and it is our duty to recover it! ↑ I.e. the global flag ‘counter_reformation’ is set. This flag is set by the event The Council of $PROVINCECAPITAL$ or when the scenario starts on 1545.12.13 or later. ↑ The modifier “Edict de Nantes” is set by the French decision Enact Edict de Nantes and removed by the French decision Revoke Edict de Nantes. ‘The Counter-Reformation Ends’, if the country is not Catholic anymore. ‘The Counter-Reformation Ends’, if the Protestant religion exist longer than 150 years. ‘The Counter-Reformation Ends’, if France has the idea ‘Liberté, Égalité, Fraternité’. ‘The Counter-Reformation Ends’, if the country has the idea ‘Ecumenism’. ‘The King of the Jesuits’ – option “Religious Freedom won the day”. The country has embraced feudalism. ↑ Meaning country flag ARA_defeat_saruhan is set, which happens when Aragon takes a province from Saruhan. This page was last edited on 24 April 2019, at 08:48.